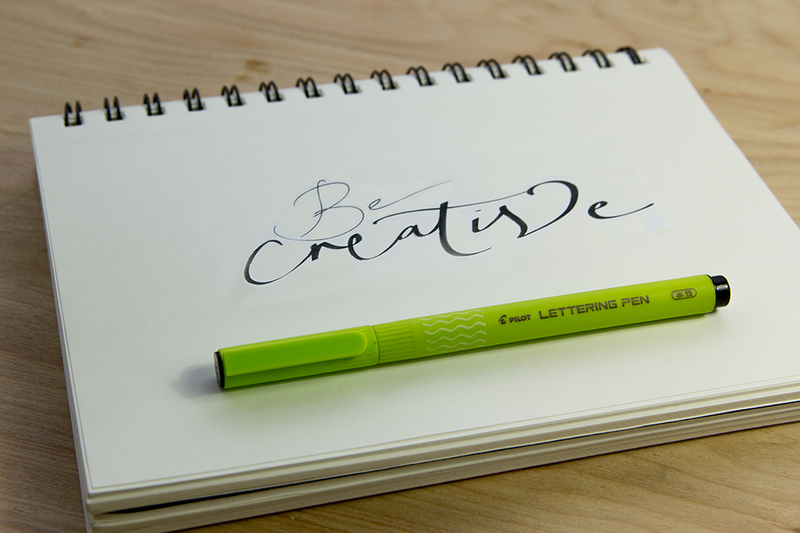 Works of art created using the extraordinary creative tools in Pilot’s Ensō collection. Choose the product and style to browse the gallery. -Firmly insert a new cartridge by putting it in straight without turning or twisting, otherwise the valve may not open. You may feel or hear a slight click when the cartridge is fully inserted. 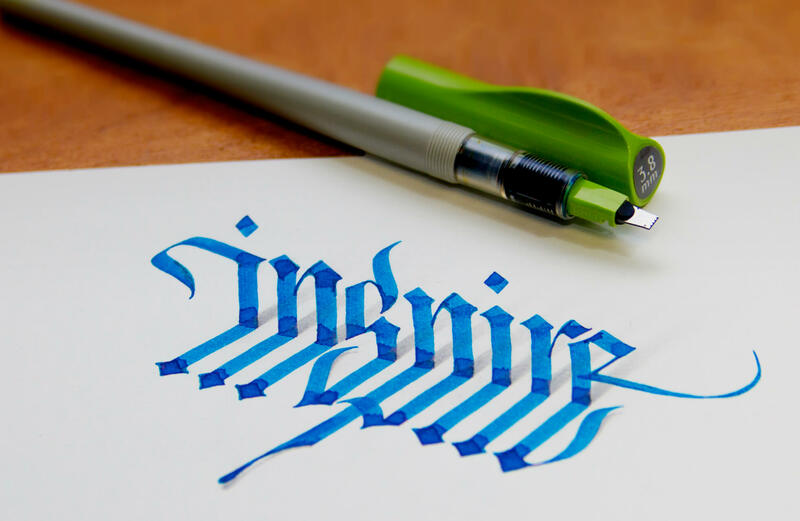 -When using a calligraphy pen for the first time, squeeze the inserted cartridge gently 2 to 3 times to get the ink to flow down the nib point. Screw the neck back onto the pen barrel. -Make a few loops on paper. 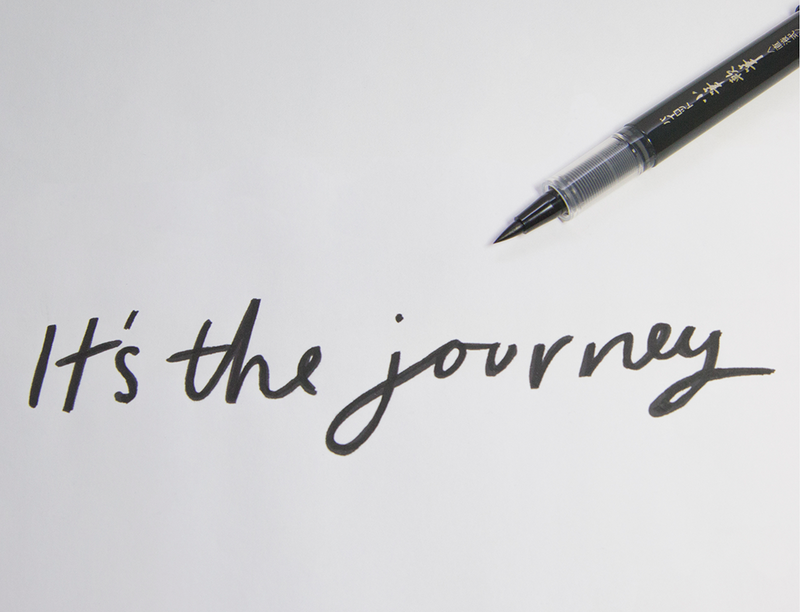 If the ink does not flow out the nib, continue making loops until the ink begins to flow. 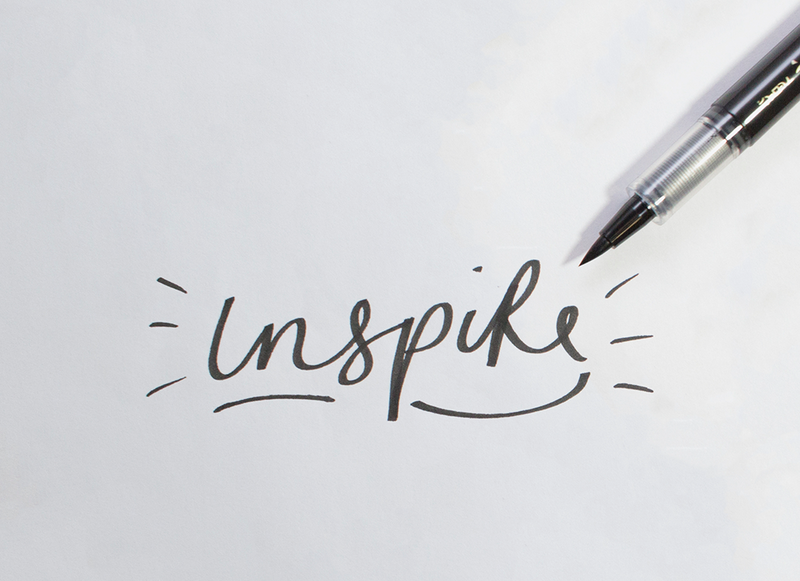 -Fine Nib (F): Ideal for intricate detail and small writing. -Medium Nib (M): Ideal for traditional hand lettering and drawing. -Broad Nib (B): Ideal for calligraphy and flourishes. - Firmly insert a new cartridge by putting it in straight without turning or twisting, otherwise the valve may not open. You may feel or hear a slight click when the cartridge is fully inserted. 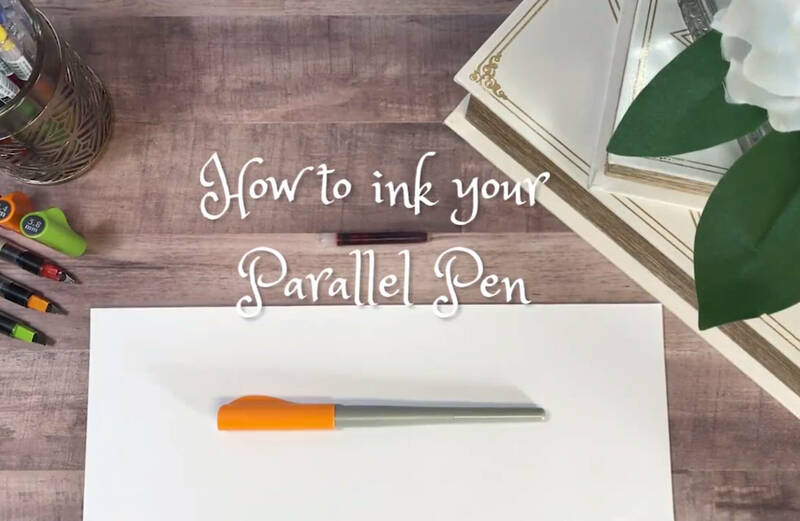 - When using a fountain pen for the first time, squeeze the inserted cartridge gently 2 to 3 times to get the ink to flow down the nib point. Screw the neck back onto the pen barrel. - Make a few loops on paper. 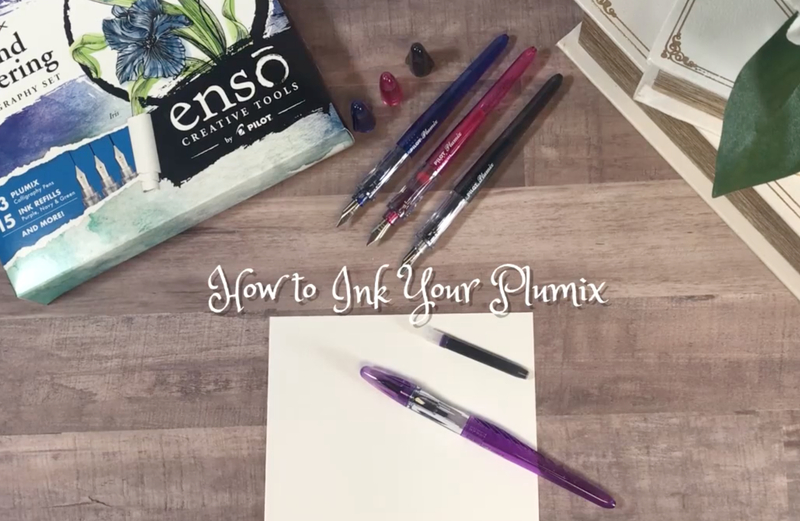 If the ink does not flow out the nib, continue making loops until the ink begins to flow. - Fine Nib (F): Ideal for intricate detail and small writing. - Medium Nib (M): Ideal for traditional hand-lettering and drawing. 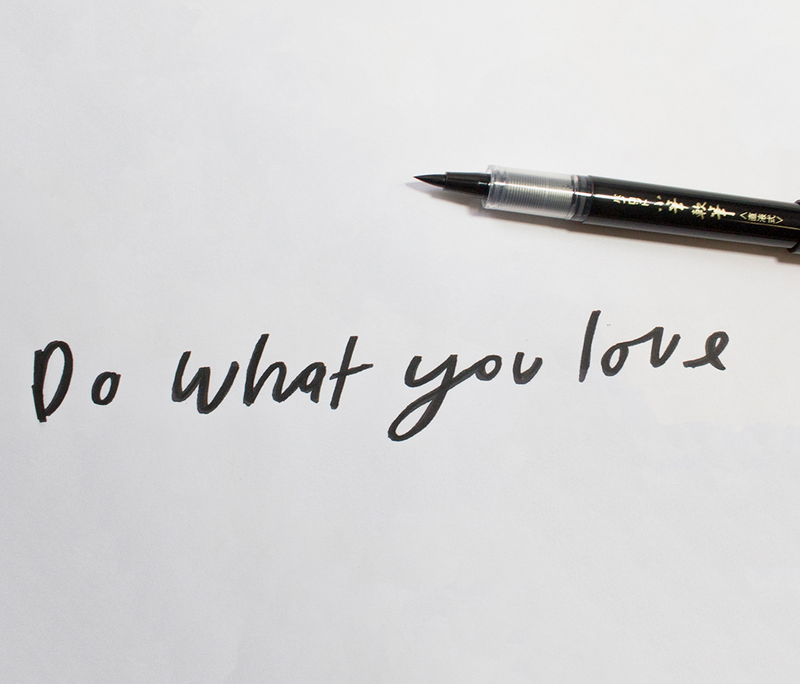 - Holding the pen with the nib upwright, remove the empty cartridge. Insert the pipette into the Parallel Pen neck to clean the unit. 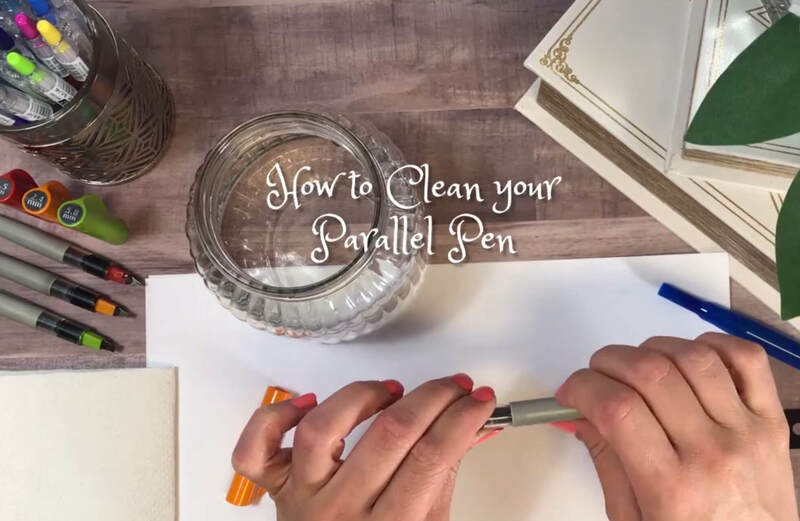 - Dip the pen into a glass of water. Squeeze the pipette several times until the pen unit is clean. - Remove the pipette and insert new ink cartridges. - Wipe any excess water off the pen or pipette with a soft cloth. 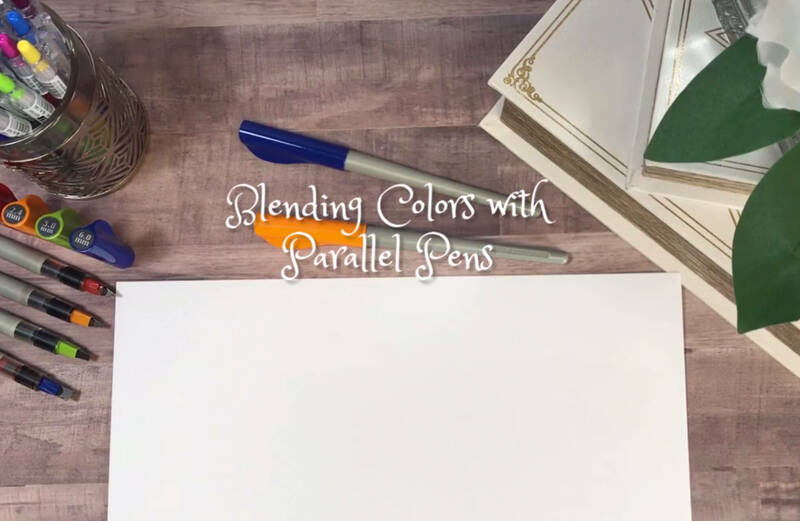 - By using two Pilot Parallel Pens, each with different colored cartridges, you can create beautiful color-blended lettering. - Hold the pens with the nib of B pointing downwards and the nib of A pointing upwards. 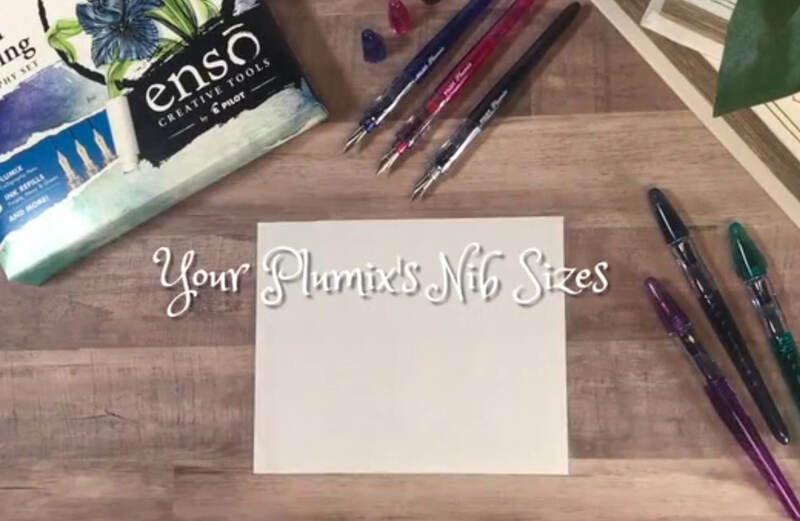 - Leave the nibs in contact for several seconds. Then the ink of B will be transferred to the nib of A. 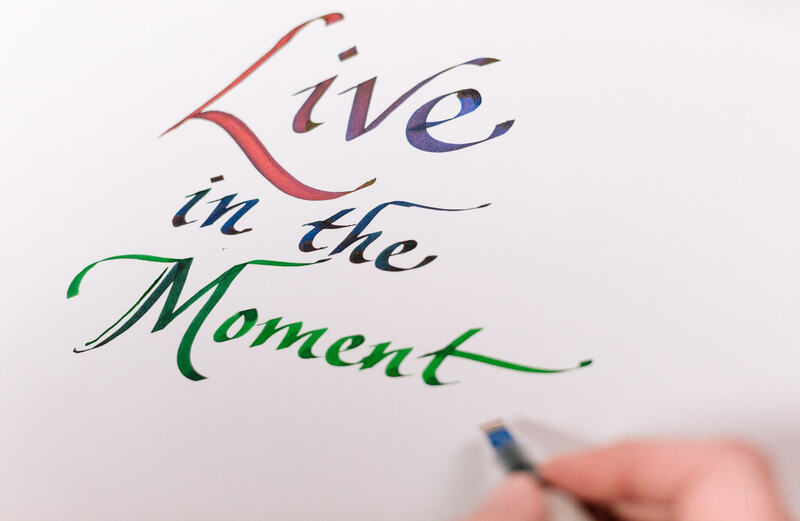 - Beautiful color blending can then be produced when writing with the pen. - Grip the pen firmly between your index finger, middle finger and thumb. 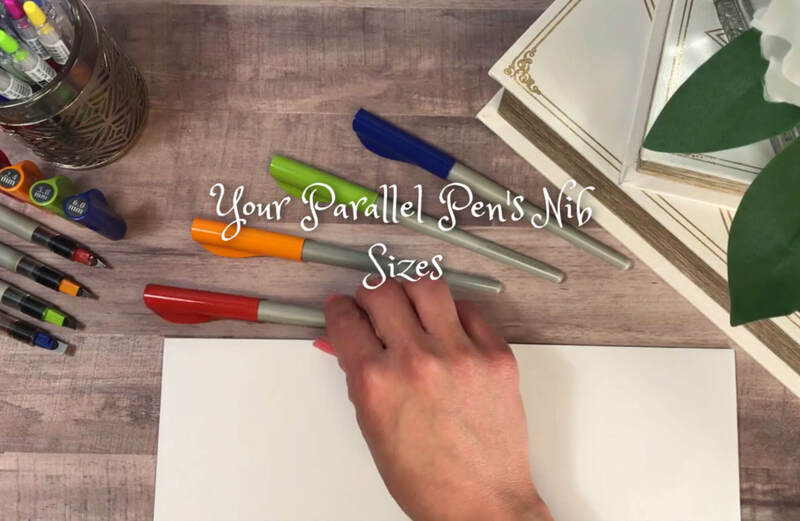 - Place the nib (writing side up) at a 45 degree angle with the flat tip parallel to the paper. 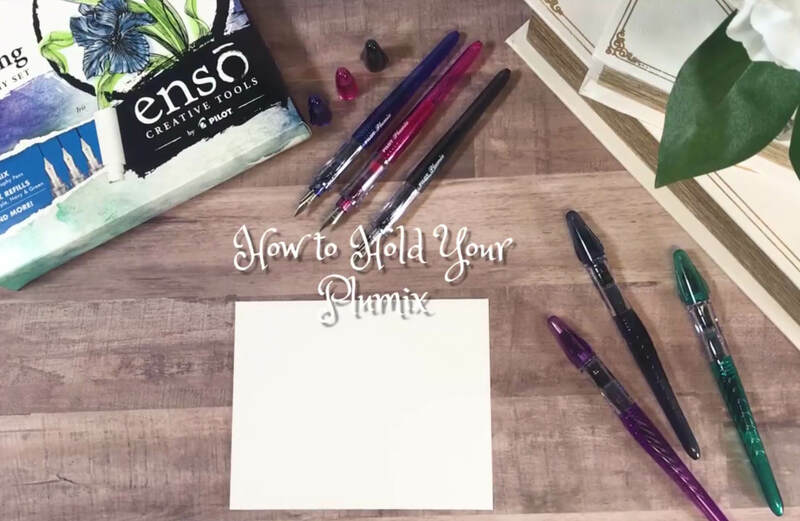 - Move the pen in a downward motion and gently press the pen into the paper. 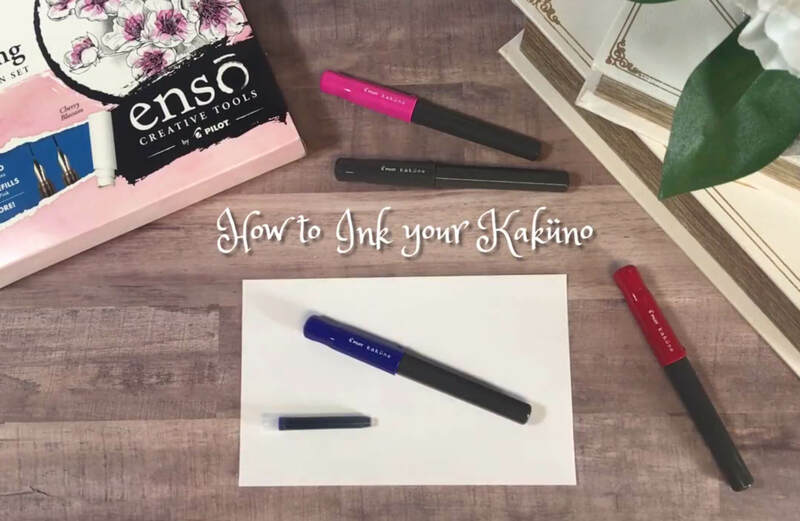 - When using a calligraphy pen for the first time, squeeze the inserted cartridge gently 2 to 3 times to get the ink to flow down the nib point. Take a little inspiration from Tolga Girgin, whose works feature artistic 3D effects using the Pilot Parallel pen. 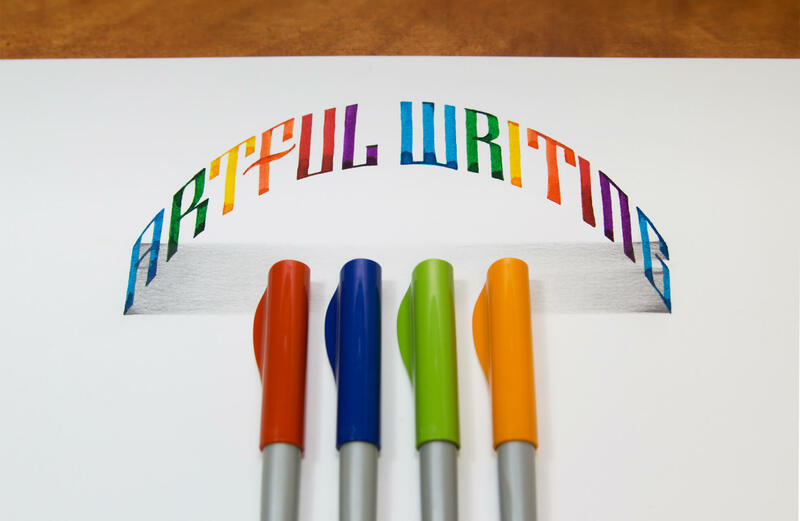 Tolga Girgin creates artful writing pieces with a 3D effect using Pilot Parallel pens. 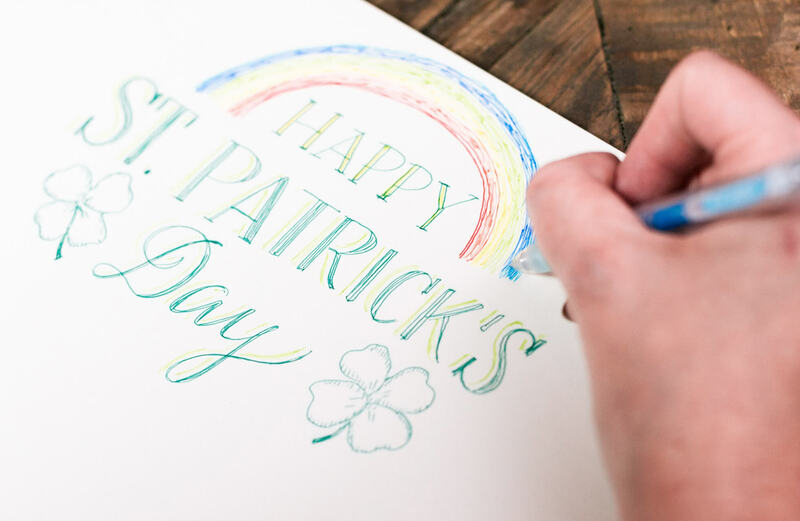 Artist Kim shows us how to mix and match fonts to wish your friends a Happy St. Patrick’s Day with the help of Pop’lol Gel Pen Coloring Set. 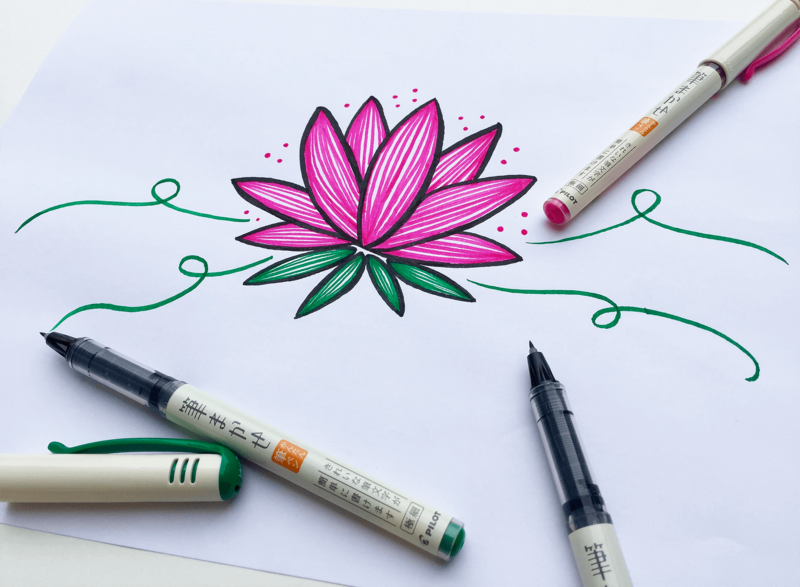 Artist Cami fosters her creativity using Pilot’s Lettering Pen with a 3.0 mm point size. 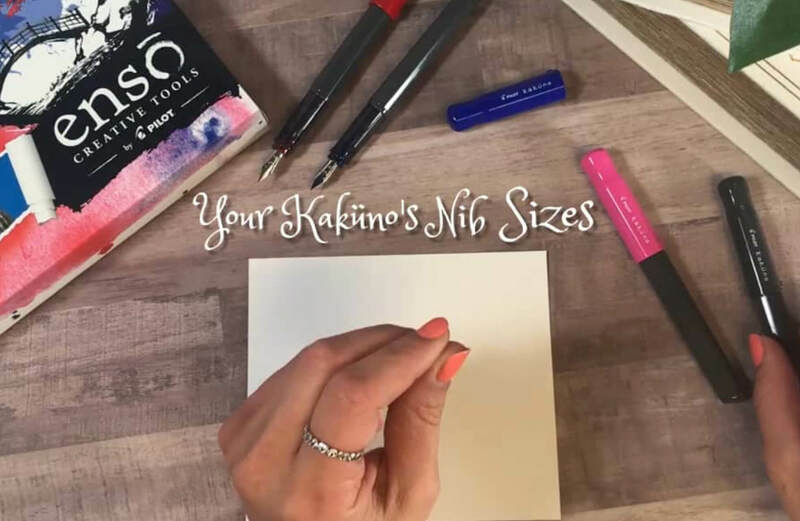 Artist Cami adds her personal charm to handwritten notes with the help of our Lettering Pen with the 3.0 mm point size. 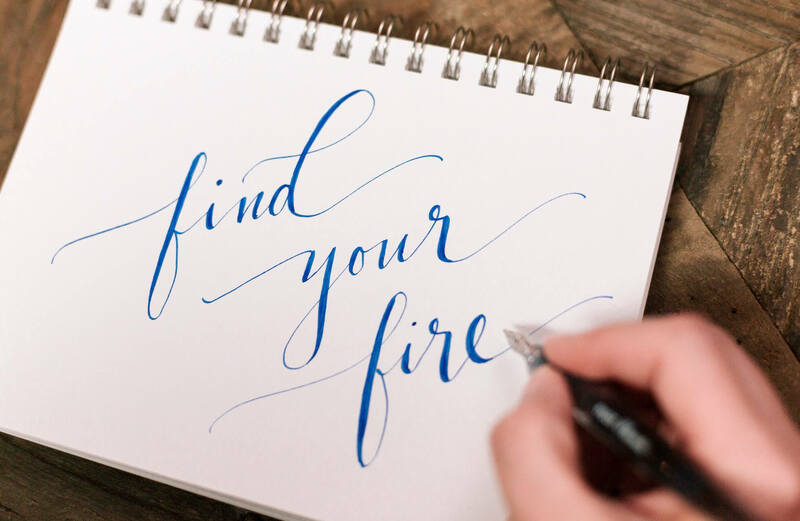 Artist Cami used our Plumix Hand Lettering Calligraphy Set to create this inspirational piece. 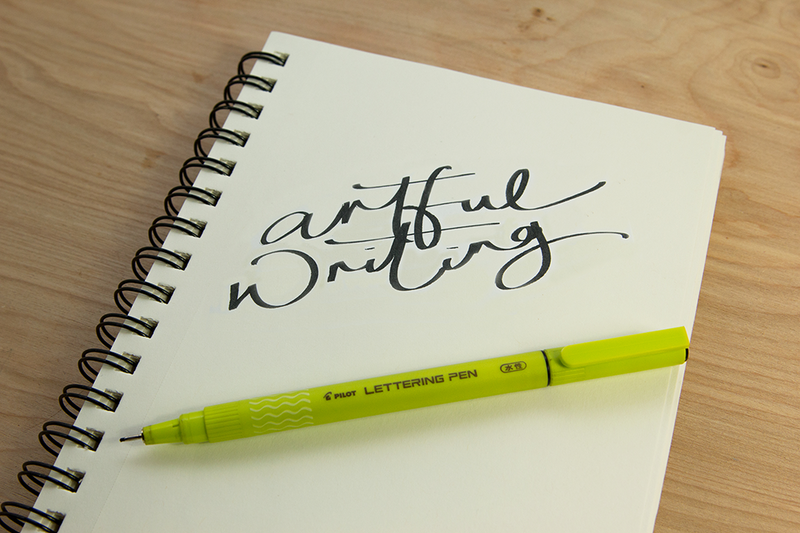 Janne Liew of Mint & Ordinary uses her Pilot Ensō Lettering Pens to channel creativity. Sometimes, all you need is a little reminder. This one comes courtesy of Janne Liew (@MintOrdinary on Instagram) and her Pilot Ensō Lettering Pen. 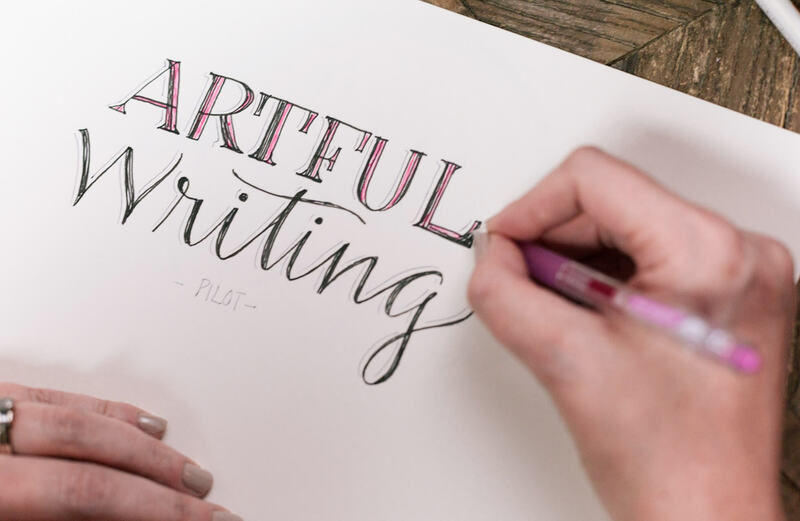 Mint & Ordinary’s Janne Liew brings “Artful Writing” to life with Pilot’s new Ensō Lettering Pens. Janne Liew (@MintOrdinary on Instagram) used Pilot’s new Ensō Lettering Pens to create this thoughtful reminder. 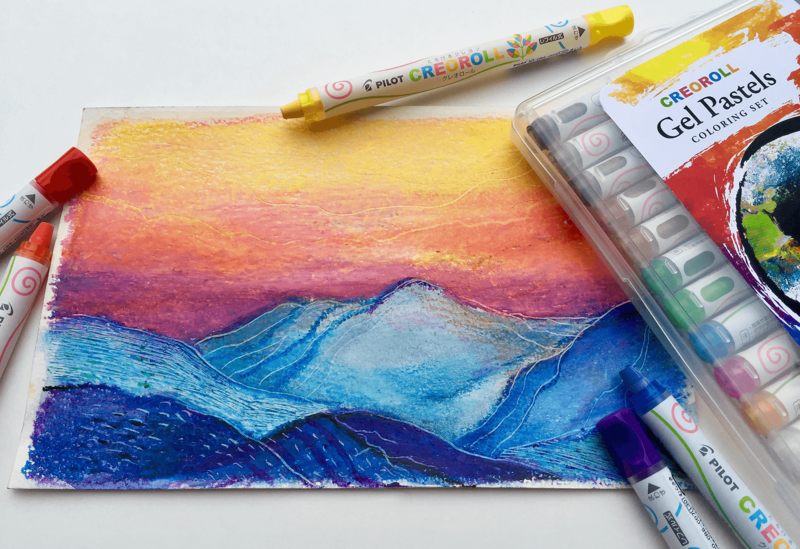 Becca Bastian Lee brings to life the beauty of the mountains using colors from our Creoroll Gel Pastel Coloring Set. 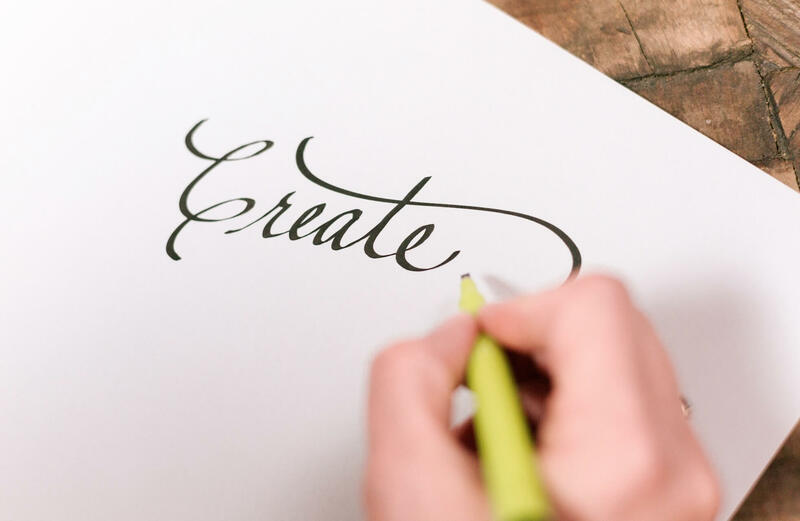 With a little inspiration and the right tools, Janne Liew of MintOrdinary.com creates beautiful hand lettered designs. This one was done with Pilot’s new Ensō Lettering Pens. 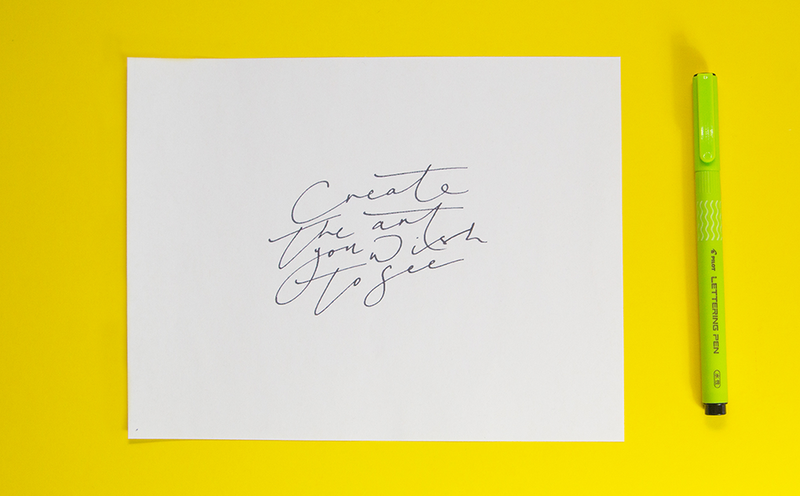 Pilot’s new Ensō Watercolor Brush Pens were created precisely for those who do what they love. 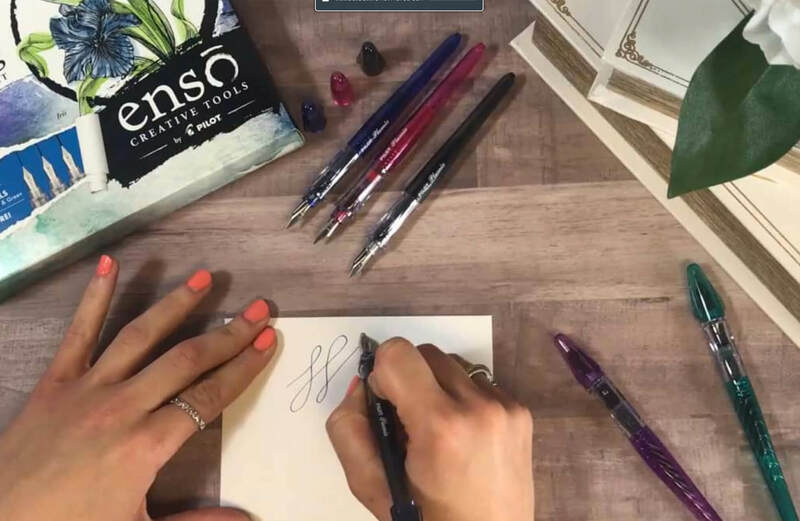 They’re the perfect tools for hand letterers and calligraphists like Ben Treanor of Old English Company. Ben Treanor (Old English Company) never lacks inspiration when it comes to his beautiful hand lettering. 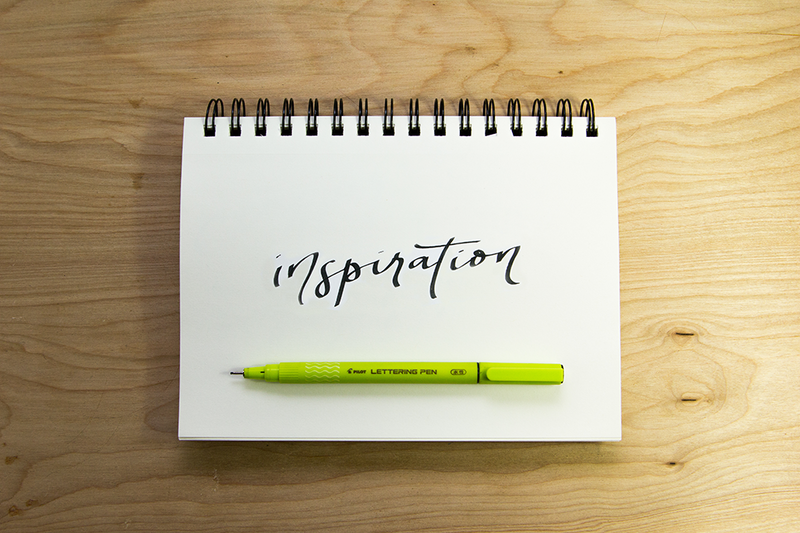 He created this nonchalant reminder to find inspiration with Pilot’s Ensō Watercolor Brush Pens. 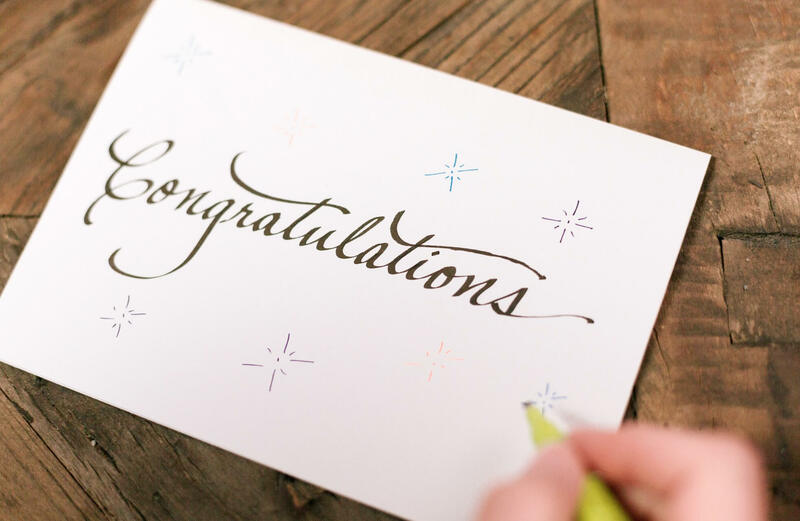 Inspired by the old adage, “It’s the journey that counts, not the destination,” Ben Treanor of Old English Company (OldEnglishPrints.com) brings the words to life with Pilot’s new Ensō Watercolor Brush Pens. 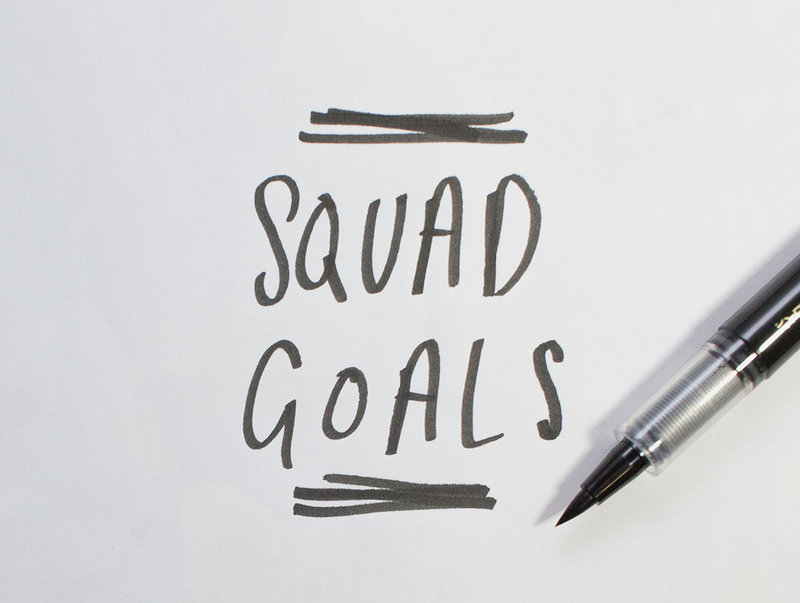 Ben Treanor, founder of Old English Company (Instagram @OldEnglishCompany) knows the meaning of “Squad Goals”. 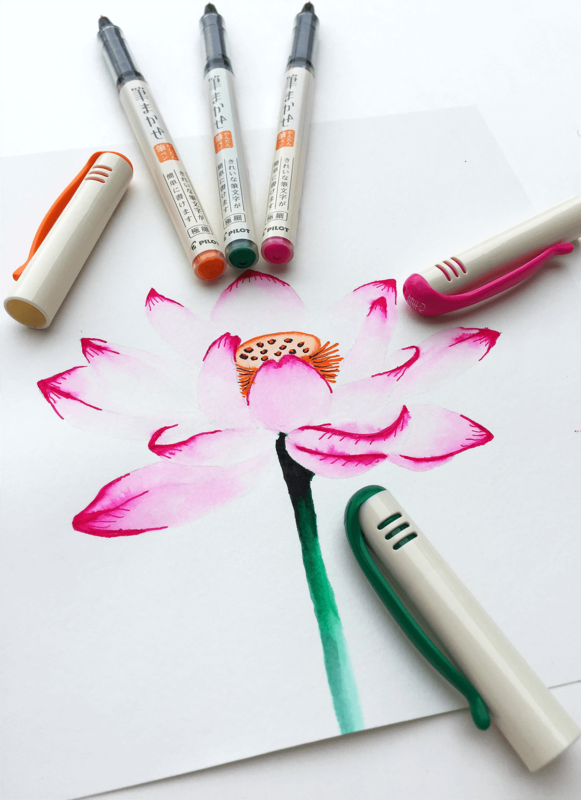 Ben uses Pilot’s new Ensō Watercolor Brush Pens to bring his creation to life. 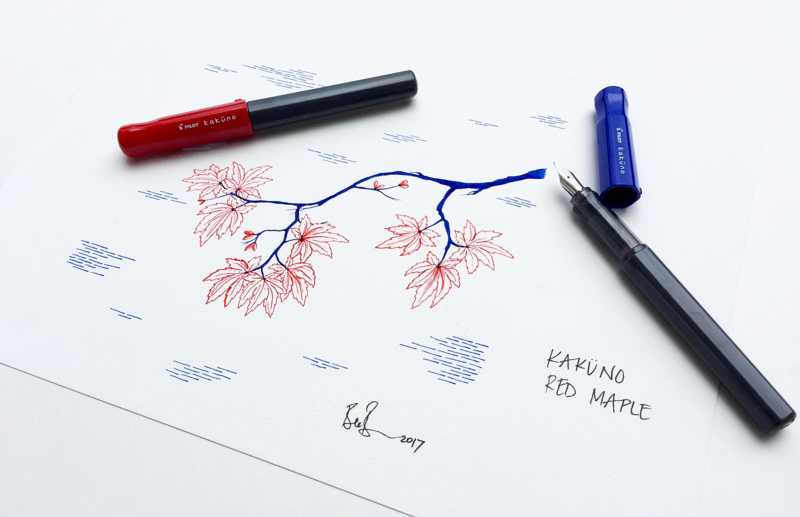 Morgan Kendall (morgankendallart.com) created this beautiful sketch of the red maple inspired by our Ensō Kaküno Red Maple Calligraphy Set. 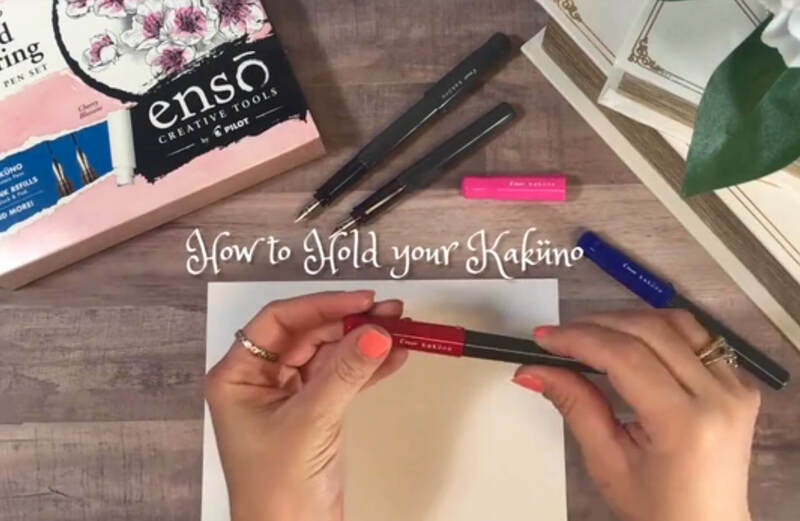 Artist Kim exercises her creativity using the Pilot Ensō Pop’lol Gel Pen Coloring Set to mix and match writing styles and sizes. 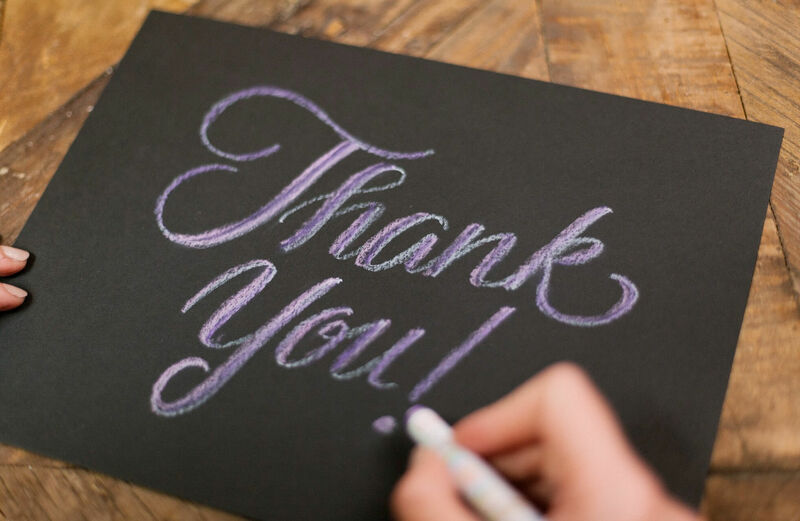 Artist Kim uses the Creoroll Gel Pastels to write a Thank You note on black paper. 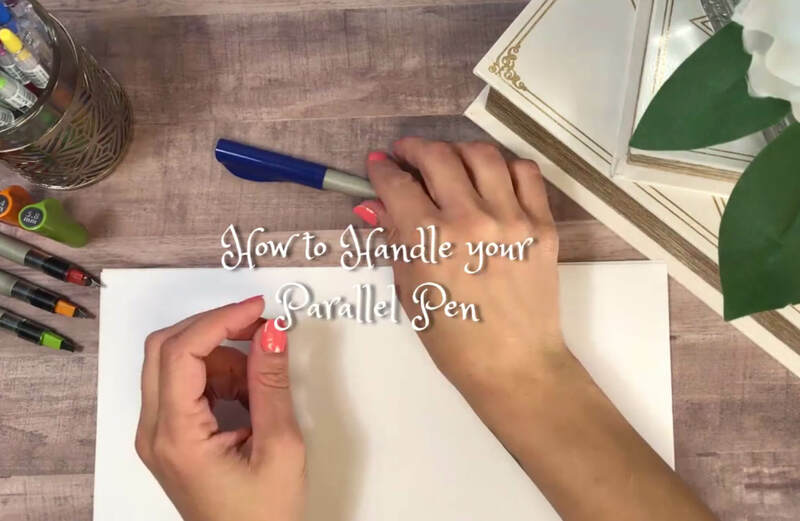 Artist Cami expresses sound life advice with color and detail to make the most of the moment with our Parallel Pen Hand Lettering Calligraphy Set. 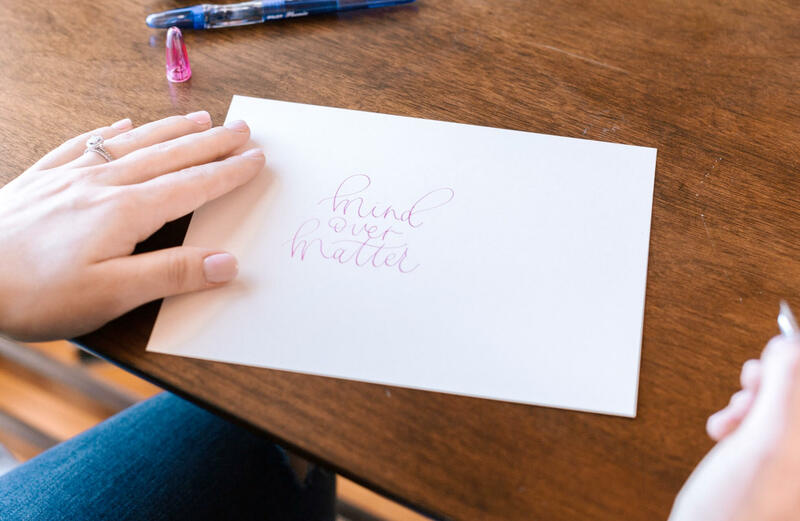 Artist Sydney celebrates her peers' accomplishments with endearing handwritten notes using a Pilot Ensō Lettering Pen with the 1.0 mm point size. 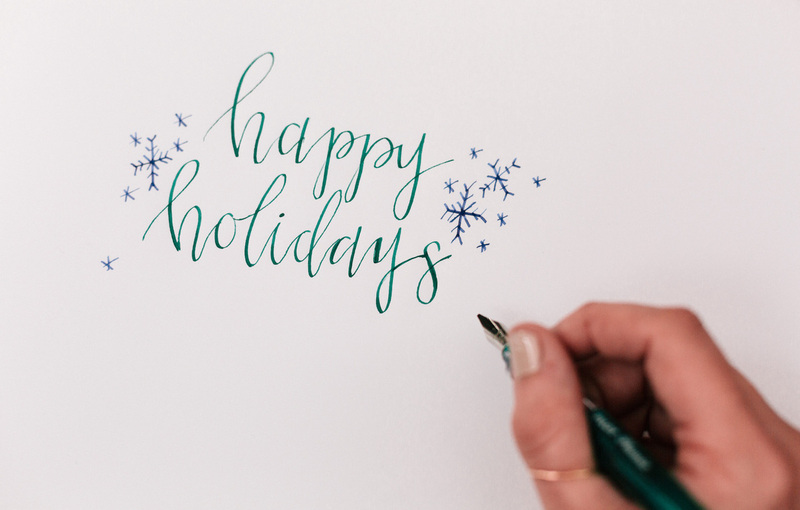 Artist Audra creates her own handwritten holiday card using the Plumix Hand Lettering Calligraphy Set in Iris. 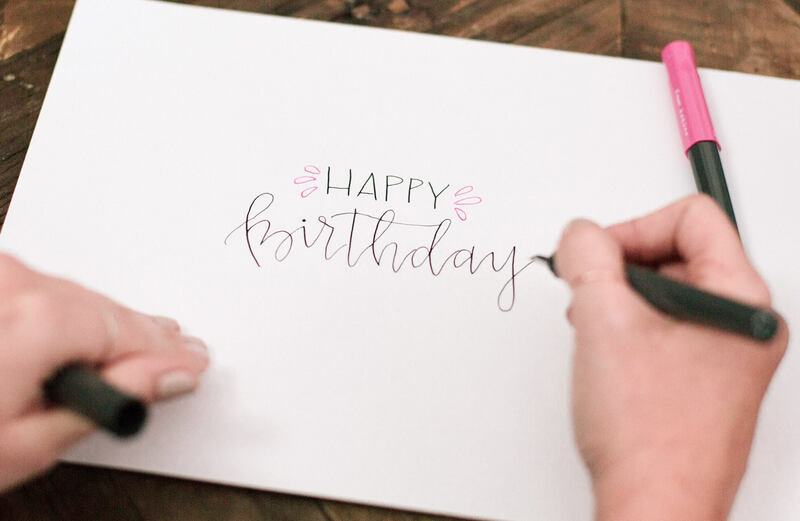 Artist Sydney uses the Plumix Hand Lettering Calligraphy Set in Hydrangea, conquering obstacles with a unique flair, sense of style and use of color. 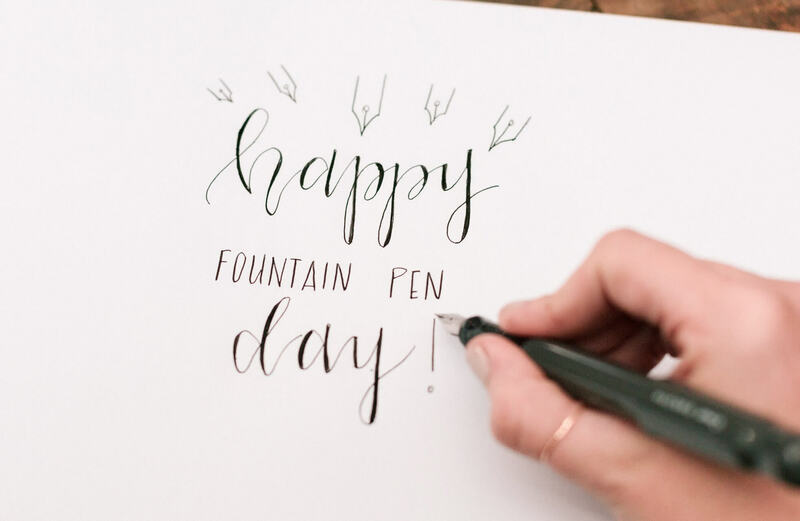 Artist Audra uses our Kaküno Hand Lettering Fountain Pen Set to wish friends well on their special day. 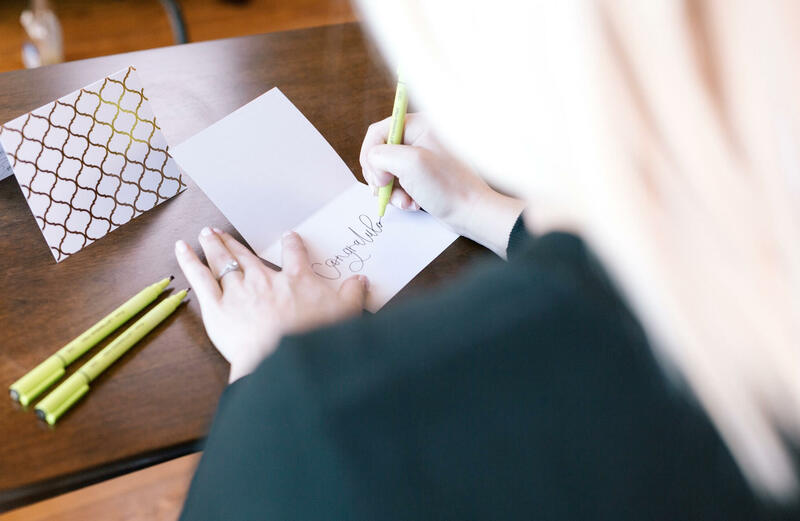 Artist Audra celebrates her penmanship, writing the day away with our Kaküno Fountain Pen Set. 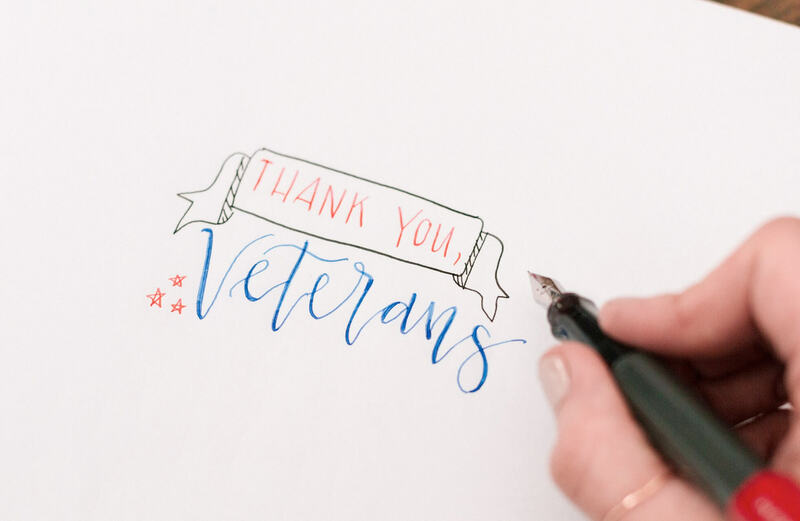 Artist Audra writes a personal thank you to the nation's veterans with the Kaküno Hand Lettering Fountain Pen Set. 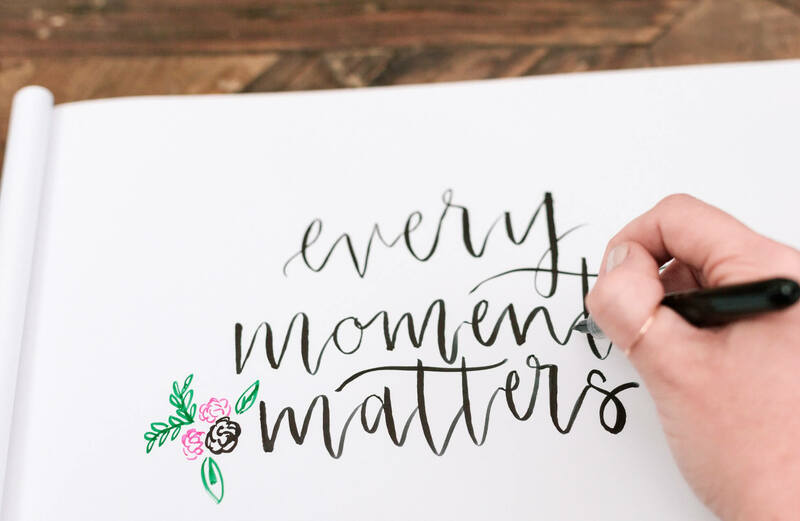 Artist Audra reminds us to savor every moment with a flourished statement crafted with our Watercolor Brush Pens. 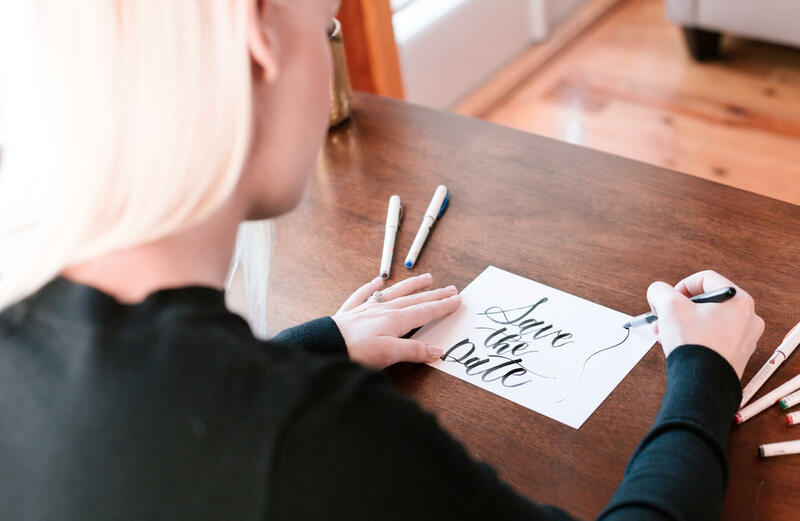 Artist Sydney adds a personal touch to wedding invitations with our Watercolor Brush Pens. Artist Clouds of Color brings subtle color and detail to life with the Watercolor Brush Pens. 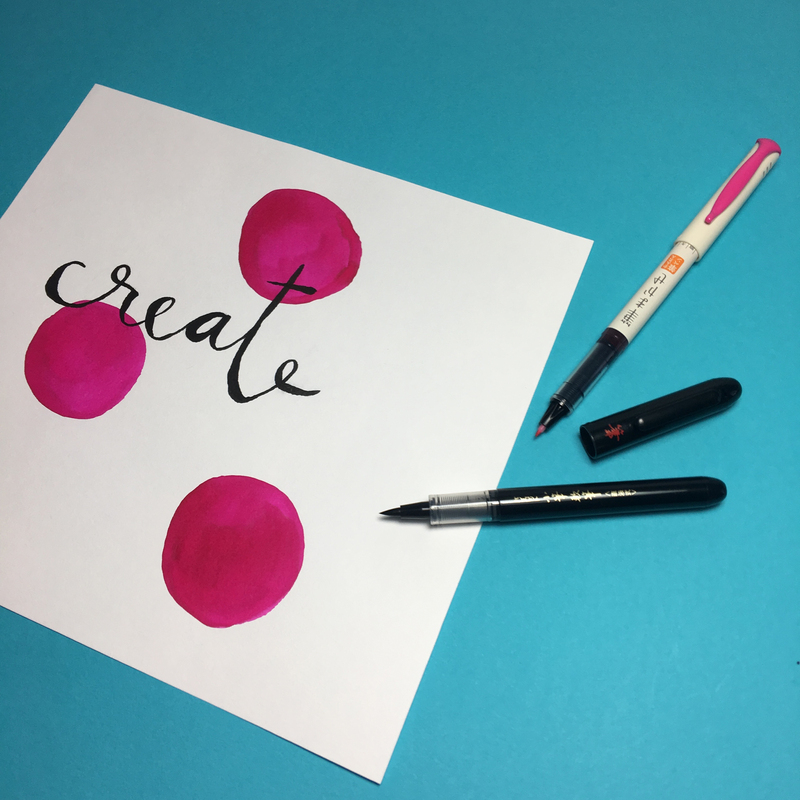 Artist Morgan Kendall sparks her imagination drawing with the new Ensō Watercolor Brush Pens. 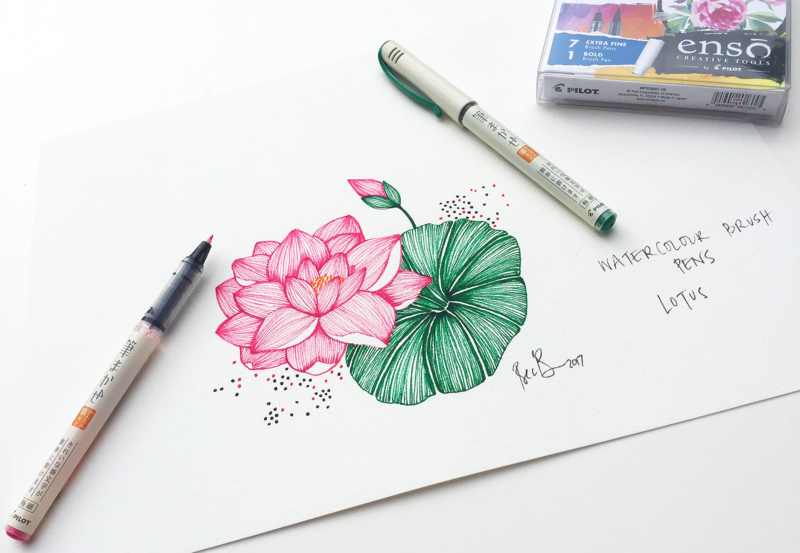 Artist Morgan Kendall enchants her work with soft splashes of color from our Watercolor Brush Pens. 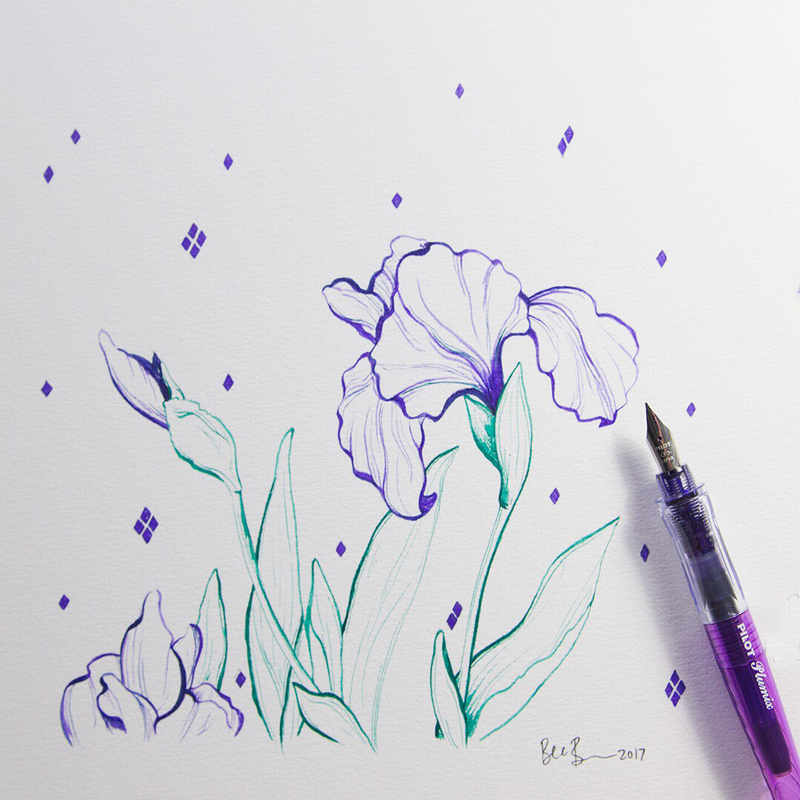 Artist Bec Brown (@CloudsOfClour on Instagram) created this beautiful sketch based on our new Plumix Iris Calligraphy Set. 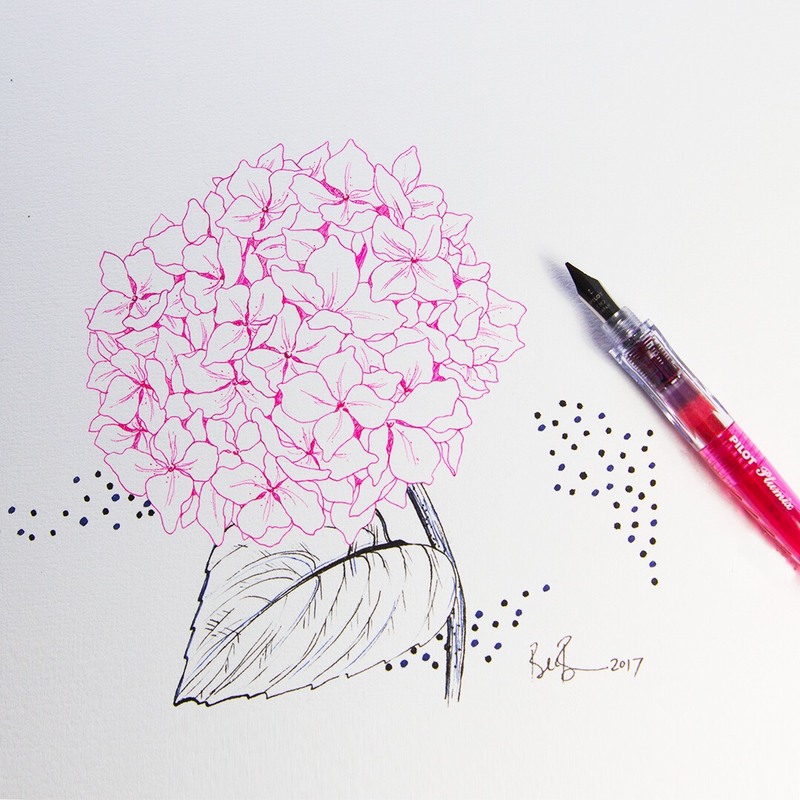 The talented Bec Brown (@CloudsOfClour on Instagram) created this sketch based on our new Plumix Hydrangea Calligraphy Set. 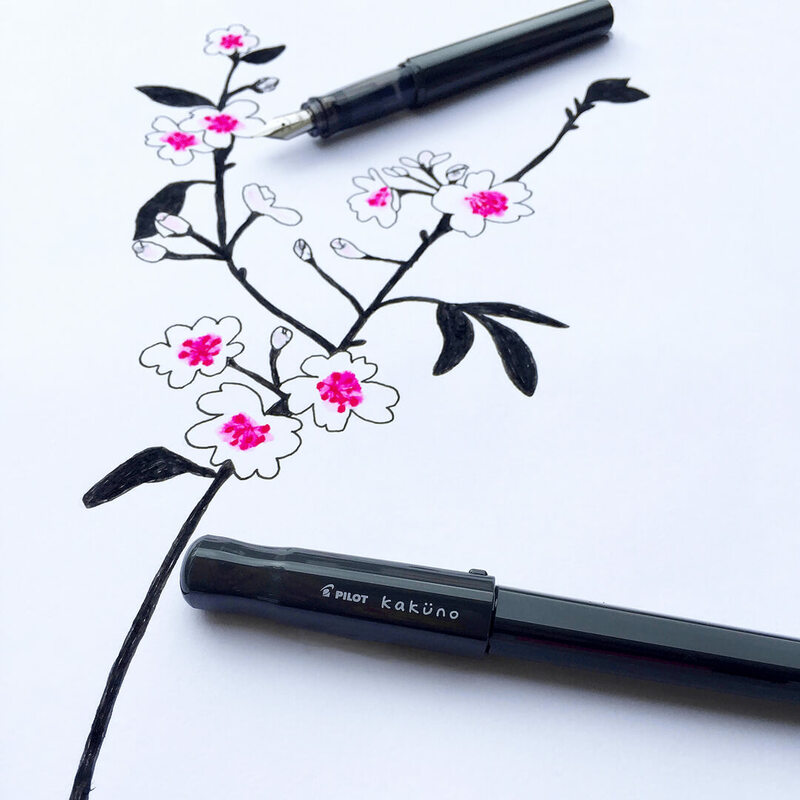 Artist Morgan Kendall work with the Kaküno Hand Lettering Pen Set shows an imagination in bloom. 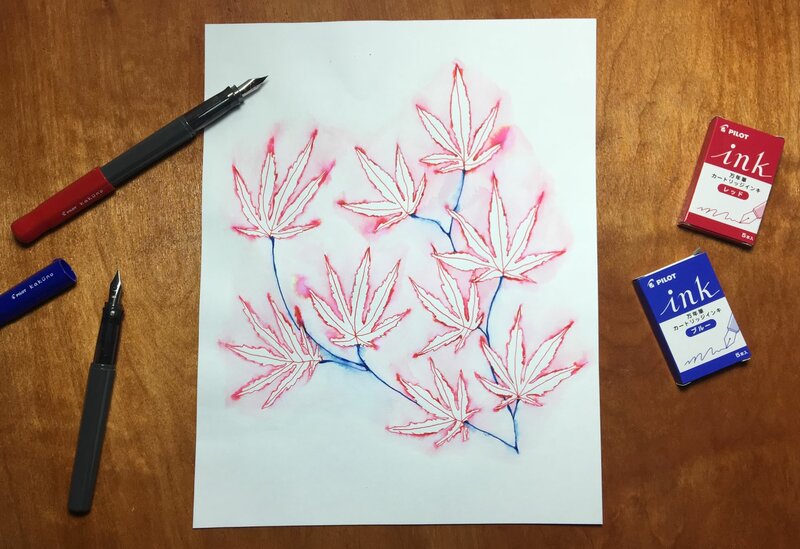 Artist Clouds of Color draws inspiration from nature with the Kaküno Hand Lettering Pen Set as her tool. 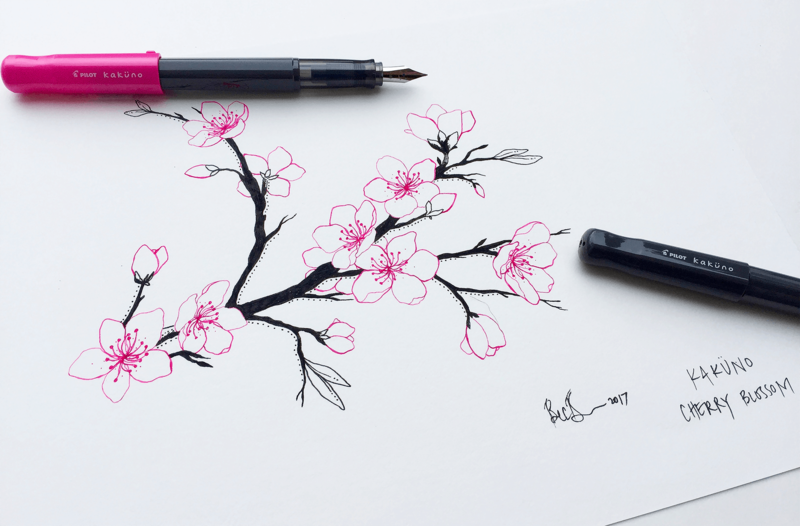 Artist Clouds of Color gives attention to finer details using the Kaküno Hand Lettering Fountain Pen Set. 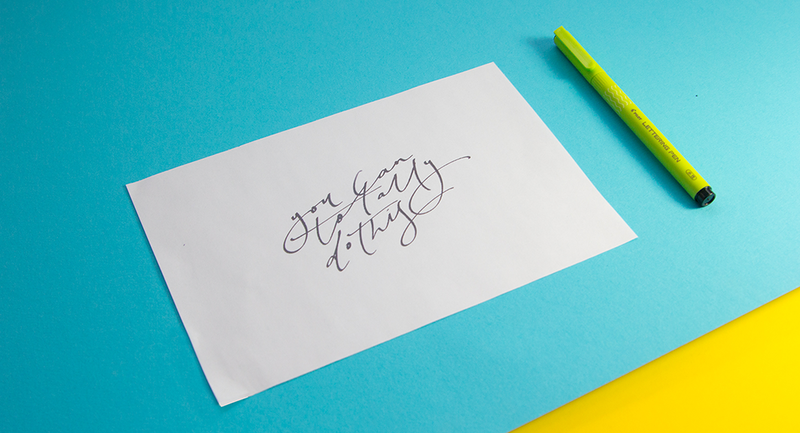 Old English puts our Watercolor Brush Pens to paper with bold color that pops.